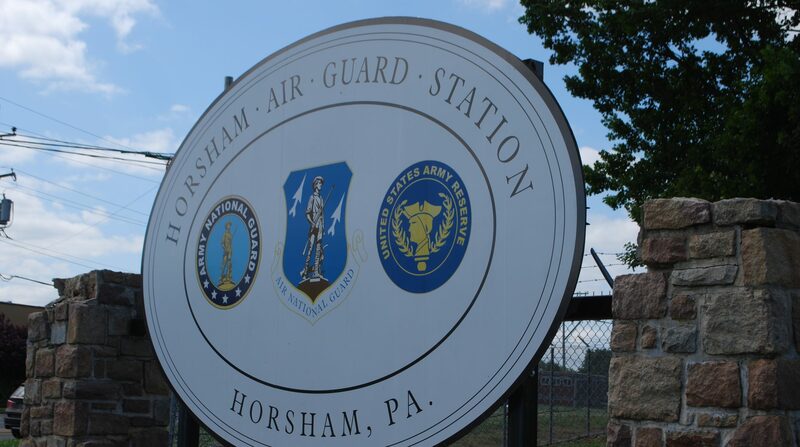 The Horsham Air Guard Station in Bucks County, Pa. where the use of PFAS chemicals in firefighting foam has been linked with contamination of local water supplies. Pennsylvania Governor Tom Wolf on Friday said he is setting up a working group of state officials to monitor water sources for the PFAS group of chemicals that have been linked to cancer and other illnesses, and are being tightly regulated by a growing number of other states. Wolf issued an executive order directing the new PFAS Action Team to manage contamination, identify sources, and supply information to the public. The panel is also charged with deciding how to clean up contaminated sites, working with academic experts, and “exploring avenues of funding” for remediation. The effort includes hiring a state toxicologist to “evaluate defensible PFAS drinking water limits and strategy” and requires the Department of Environmental Protection to develop a PFAS sampling plan, with the first samples due in early 2019. “It is vital that the Commonwealth of Pennsylvania create and implement a scientifically-sound, thoughtful, holistic and proactive approach to addressing this emerging contaminant,” the order said. State and federal authorities are cleaning up PFAS contamination at 11 Pennsylvania sites. Some of the highest contamination has been found around Horsham in Montgomery County, where the chemicals got into water sources from firefighting foam on local military bases. The contamination has been cut to within health limits by a local government initiative to install carbon filters on public drinking water sources. Elsewhere in Pennsylvania, the chemicals have been found at levels exceeding the EPA guidelines at the Letterkenny Army Depot in Franklin County, the Harrisburg Air National Guard base, Warminster and Willow Grove naval stations, and the North Penn Army reserve base in Montgomery County, according to a Defense Department report. Pennsylvania doesn’t have its own regulations for PFAS but follows the U.S. Environmental Protection Agency’s non-enforceable guidelines, which critics say are too lax to protect public health. Clean-water advocates have been pressing the Commonwealth to set stricter standards with its own regulations, following the lead of other states including neighboring New Jersey. Wolf’s order says nothing about establishing maximum contaminant limits, the levels that are designed to protect public health, but his spokesman, J.J. Abbott, said the governor has directed DEP to evaluate the science “in order to establish a defensible and sufficiently protective” health limit. He said the appointment of a state toxicologist, as part of the PFAS plan, is another step toward establishing such a limit. Tracy Carluccio of Delaware Riverkeeper Network, an environmental nonprofit, said the new panel is a “vital first step” but won’t protect public health unless it sets enforceable limits for the chemicals. Carluccio, a longtime campaigner for tougher PFAS limits, said Wolf should have charged the state’s Environmental Quality Board with proposing health limits, as her group has previously urged. “To instead set up a redundant bureaucratic committee called an ‘Action Team’ is not only a huge oversight, it undermines the EQB and government processes already in place that should be acting to regulate and remove these toxic compounds from our water,” Carluccio said. And she criticized Wolf’s reference to the EPA’s Health Advisory Level for two of the chemicals, PFOA and PFOS, despite growing evidence that it is too high to protect the public from illnesses including testicular cancer, high cholesterol, and immune system problems. Using the EPA’s level “as an accurate measurement of the toxicity in the committee’s investigations of PFAS is simply wrong and will yield inaccurate findings,” Carluccio said. The chemicals were once used for consumer products like nonstick cookware and flame-retardant fabrics, and are no longer made in the U.S., but persist in some water supplies, and are present in the bodies of most people, scientists say. The new team will be led by the Secretary of the Department of Environmental Protection and will include the secretaries of health and several other departments. It will have no public representation. Myron Arnowitt, Pennsylvania director for the environmental group Clean Water Action, welcomed Wolf’s plan as a positive step that elevates the problem of PFAS contamination. Arnowitt said the new panel should consider public input and should attract federal money that would help Pennsylvania detect and remediate PFAS contamination, and set its own health limits. “If you’re going to set a standard that’s going to hold up in court, you need the resources to be able to do that,” he said. Environmental Working Group, a national nonprofit that advocates for tighter PFAS regulation, said the new Pennsylvania panel is a step in the right direction but won’t protect public water supplies unless strong regulations are adopted. “The governor of Pennsylvania has recognized the serious risk that PFAS contamination poses to residents but now the state needs to take decisive action and set a drinking water limit that will truly protect public health,” said Dr. David Andrews, senior scientist at EWG. The EPA’s 70 parts per trillion guideline for PFOA and PFOS combined is higher than the 13 ppt and 14 ppt levels, respectively, that are being adopted by New Jersey, which has become a national leader in regulating the chemicals. The EPA, under pressure from advocates to set enforceable national standards, is looking at whether to regulate PFOA and PFOS, and says it will publish a national management plan on the entire class of chemicals by the end of 2018. Questions about the effectiveness of the EPA’s health guidelines arose earlier this year when another federal body, the Agency for Toxic Substances and Disease Registry, proposed health limits for PFOA and PFOS that were seven to 10 times stricter than the EPA levels. Wolf, in a statement on Friday, said Pennsylvania is taking its own steps to manage PFAS because the federal government has not set national standards. “I have consistently called on the federal government to demonstrate leadership by establishing national safe drinking water standards for PFAS, but in the absence of federal action, Pennsylvania will move forward aggressively to ensure Pennsylvania residents are protected,” he said. Wolf this week urged the EPA’s acting Administrator, Andrew Wheeler, to set more protective PFAS standards, and called on Pennsylvania Congressional delegates to support legislation that would provide more money for states to manage the contamination.